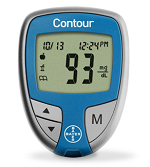 Blood Glucose Meters and Monitors at competitive prices in Brooklyn, NY. Give us a call for expert assistance in selecting the best glucometer for your lifestyle and health needs so that you stay in control of your diabetes. 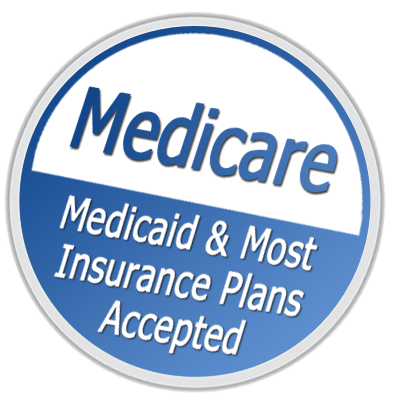 As always, we're here to help with Medicare and third party insurance billing. Convenient delivery service in the five-borough area. 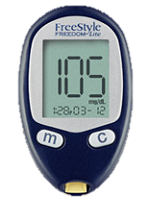 To read more information about blood glucose meters, click here. The Accu-Chek Aviva System is a new, hand-held blood glucose meter which is fast and accurate. 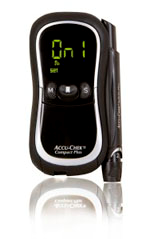 The Accu-Chek Compact Plus System is a novel and convenient glucose meter which does not require strip use. 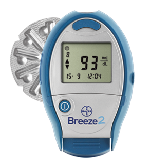 The Breeze® 2 Blood Glucose Meter uses one disc for every ten tests, and doesn't require strips at all. The Contour® Blood Glucose Meter allows high and low settings to be personalized to help you set your own glycemic target and increase the likelihood of keeping your blood sugar stable. The FreeStyle Freedom Lite® Blood Glucose Monitoring System can be held and read easily, and offers helpful features for monitoring diabetes. The FreeStyle Lite® Blood Glucose Monitoring System is small, discreet and offers helpful features for monitoring diabetes. The Precision Xtra® Blood Glucose and Ketone Monitoring System offers easy testing of ketones and blood sugar with one meter. The One Touch® Ultra Mini® Blood Glucose Meter is so small, it can fit in your pocket. The One Touch® Ultra® 2 Blood Glucose Monitor makes blood sugar monitoring simple and quick with results in only 5 seconds. The One Touch® Ultra Smart® Blood Glucose Meter helps make diabetes tracking easier. The One Touch® Select® Blood Glucose Meter offers simple and accurate testing. The TRUEtrack® Glucose Meter provides clinically accurate and quick results in just 10 seconds! Blood sample requirement is very small- only 1 microleter! The TRUE2go® Blood Glucose Meter is an affordable travel glucometer which is available in a choice of colors. TRUEbalance™ System offers accurate and simple testing. Blood Glucose Meters, also known as Glucometers or Blood Glucose Monitors help diabetic patients keep track of their glycemic index and adjust their diet accordingly. 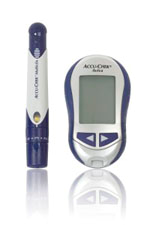 A glucometer is available with or without the need for strips, in various different sizes and memory capacities. They come with charting options, with no-coding options, and with capabilities to be attached to your computer. Technological advances allow for easy and accurate testing, even with a blood sample requirement as small as one microleter! Choose from our wide variety of Blood Glucose Meters today, including the: AccuChek® Glucometer, One Touch® Glucometer, and Contour® Glucometer among others, or contact us to help you find the one most suited to your needs. In addition, we carry matching strips and lancet devices as well as alcohol an swabs.